NO sport involves more drawn out ebbs and flows than the wonderful game of cricket. Whether it is massive sixes being whacked in T20 matches or a dogged opener carrying his bat through a test innings on a green top, the examination of talent and skill is unparalleled in sport. Some of the finest sportsmen have shown off their considerable talents on cricket pitches across the world, since it became a viable competitive sport way back in the 18th century in England. Today, it is a billion dollar global business, with games played on an international and domestic scale almost every day of the year. It can sometimes be exhilarating and, at other times, let’s face it, it can be boring. But the good thing is, a few bets can give you a chance to win real money and also help beat the boredom. Whether you want to see the best on the international stage, or enjoy the domestic stuff, like a nation’s T20 competition, there are betting options and live broadcast coverage available across the board. Who are the best online bookmakers for cricket betting? There are hundreds of ways of betting on the cricket, but one of the key things is to find a good online bookmaker. It is the first thing you have to do if you want to place a bet. Fortunately, here at realmoneygamble.com.au we have got you well and truly covered. We’ve scoured the internet for the best online bookmakers in the world. And we pride ourselves on excellence and have aligned ourselves with the most comprehensive and trusted bookies on the planet. If our picks don’t offer a betting market on it, then you simply won’t find it anywhere else. What are the different cricket formats you can bet on? Like we have previously mentioned there are very few days of the year where there is not a cricket game in full swing that you can wager on. Whether it’s the Indian Premier League in the middle of the year or the Big Bash League, held in the summer months – December through to January – in Australia. Of course there is also the packed international schedule featuring the Test championships, one day internationals and T20 matches. Test Cricket: Played over five days and four innings, this is the ultimate test of nerve and stamina for a cricketer. Test series last anywhere from two to five matches. One Day Internationals: The original pyjama cricket, players wear coloured uniforms and each side gets a maximum of 50 overs. These matches can be played during the day, or start in the afternoon and go into the evening. Twenty20: Emerging as the most popular form of the game for an increasingly time poor public, T20 is exactly what it says – 20 overs per side. County Championship: The English domestic competition is known as the County Championships and is the Test match equivalent, but played between teams in England. This model is mirrored across the world with Australia, India and Pakistan all having highly respected longer form domestic competitions. One day: Pits state against state, in much the same way competitions like the County Championship do. T20: Most of the major cricketing nations have launched their own T20 cricket competition. Many like the IPL and Big Bash Leagues feature ‘imports’ with some of the best past and present players suiting up for state teams. Head to head: Pick which team will win the match. Highest opening partnership: Choose which side’s opening batting pair will make more runs. Most sixes (team): Which team do you think will hit more sixes in the innings? To win the toss: A 50-50 chance of picking which captain will win the toss. Futures: Bet on which team you think will win a series, or a tournament or which batsman will make the most runs, or bowler will take the most wickets, and so on. Top run scorer: Pick which player will make the most runs in the match. Top wicket taker: Which bowler do you think will take the most wickets in the match? Most sixes: Find the big hitters and back them to send the most balls over the fence in the match. ODI World Cup: The pinnacle of the 50 over game, held every four years to decide the best one day side in the world. T20 World Cup: A relatively new tournament involving several minnow teams, the T20 World Cup is a tournament used to decide the best team in the shortest form of the game. The Ashes: The time honoured Test series between Australia and England, a battle that has been waged since 1882. T20 Big Bash League: The Australian domestic T20 league has taken off, with millions of viewers across the world tuning in to see the big hitting fun. Indian Premier League: The biggest T20 tournament in the world, played in India and worth around $3 billion. Anything played in India: Cricket mad India is the key country in the sport, and the market every nation wants to break into. If nations want to make money out of cricket, they want to play against India. Know your limits and bet within them: There’s nothing worse than not being able to put the money on the table after you’ve had a rough trot on the punt. Make sure this does not happen by betting within your means. Ensure all your important obligations are met, set yourself a limit and make sure it’s enjoyable. Know your matches: Where is the game being played? How have the teams fared against each other in previous encounters? What is at stake? World rankings? Are there any injuries? Are players being rested? How is the form of the batsmen and bowlers holding up? These are just some of the things you need to be across before you wager on a cricket match. Sir Donald Bradman (Australia): Any man who averages a tick under 100 over his career can only be known as the greatest batsman of all time. With apologies to Adam Voges bullying some bad attacks, No batsman has come close to Bradman and his stories are the stuff of legend. Sachin Tendulkar (India): If anyone could lay claim to Bradman’s throne, it is the little master. Tendulkar scored a remarkable century of centuries throughout a storied career that ended with over 34000 international runs. Sir Garfield Sobers (West Indies): Still the best all rounder of all time, Sobers was feared with the ball and had a batting average that would be the envy of many top order bats. 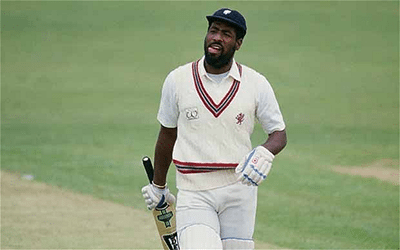 Sir Vivian Richards (West Indies): The original master blaster, Richards revolutionised the way cricket was played with his explosive batting.